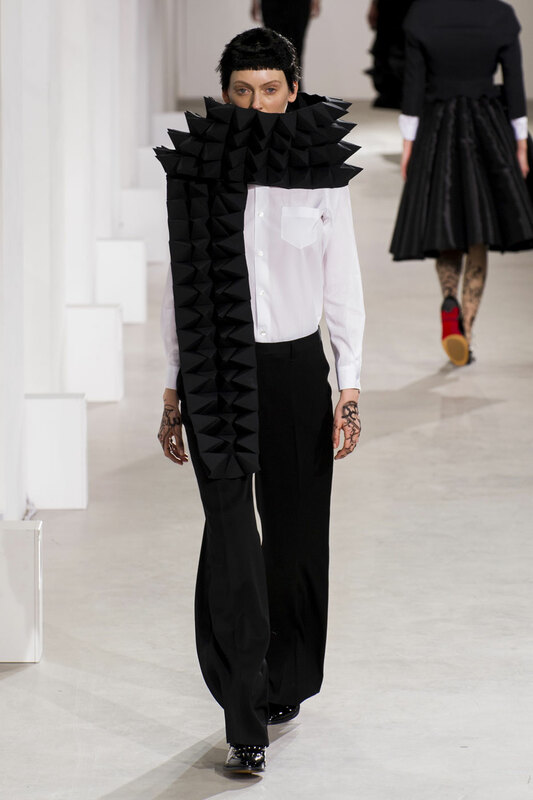 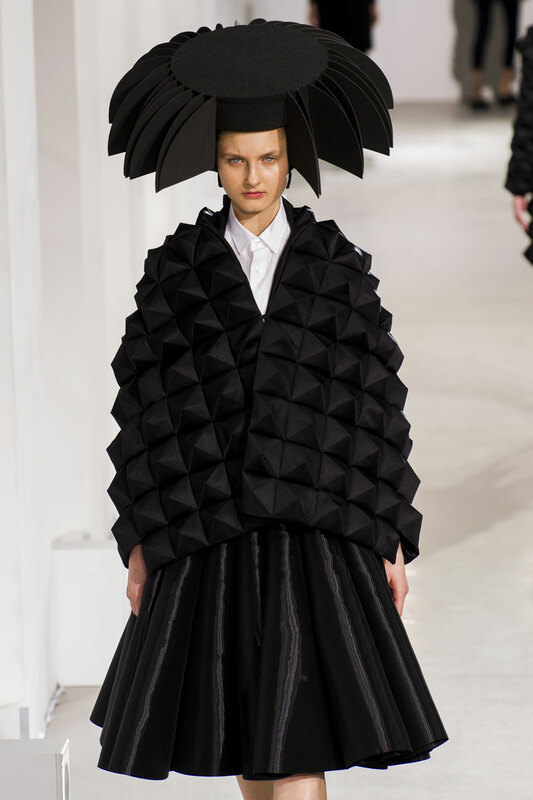 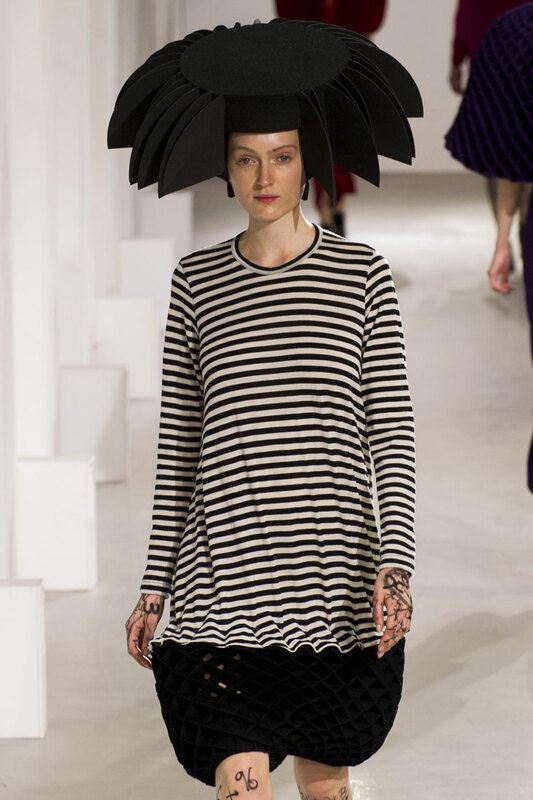 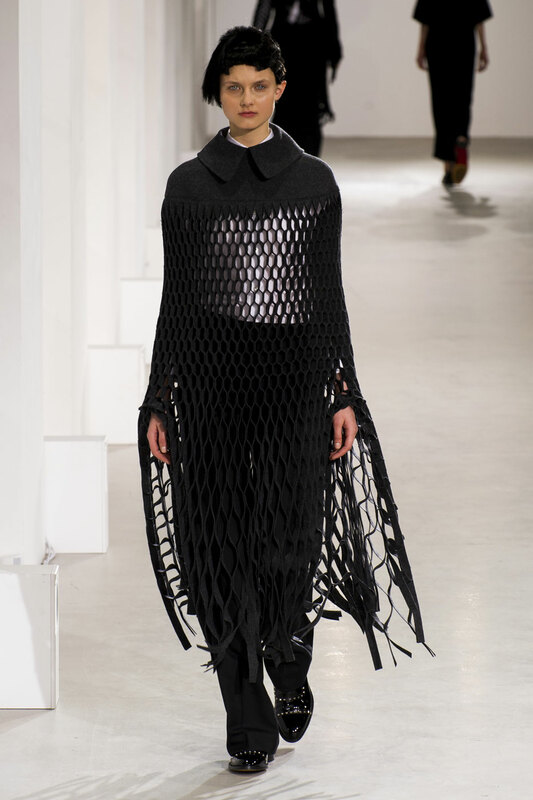 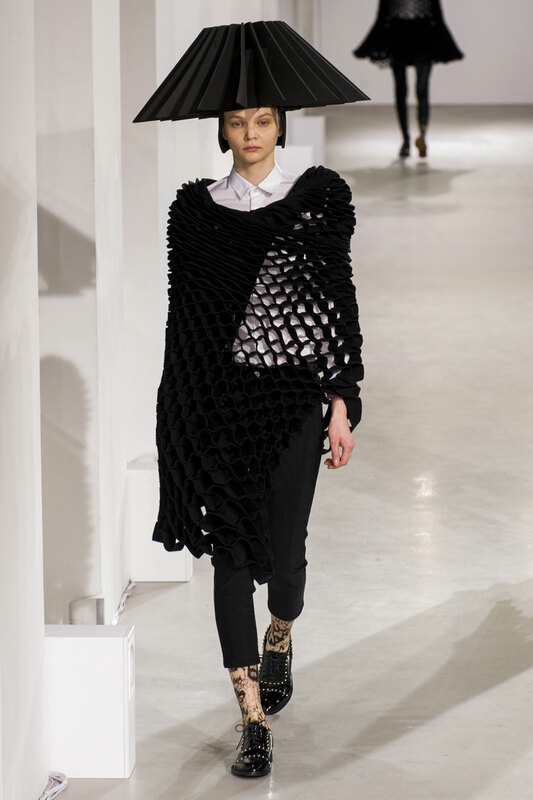 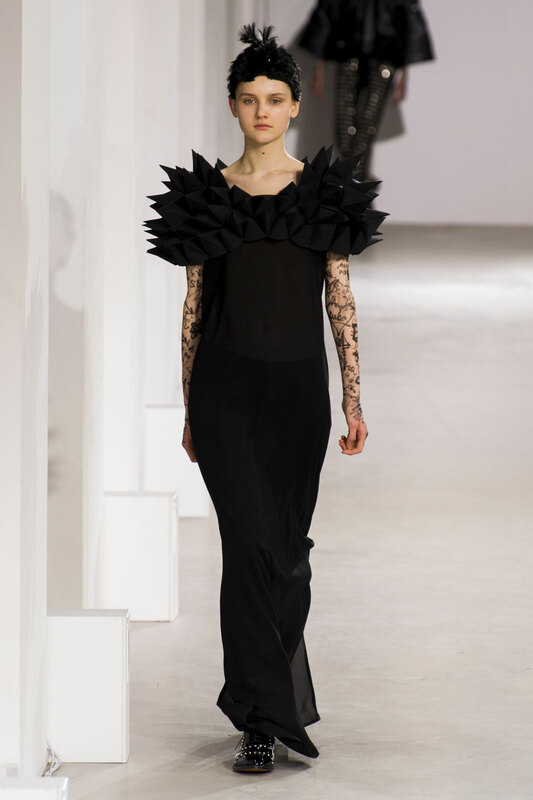 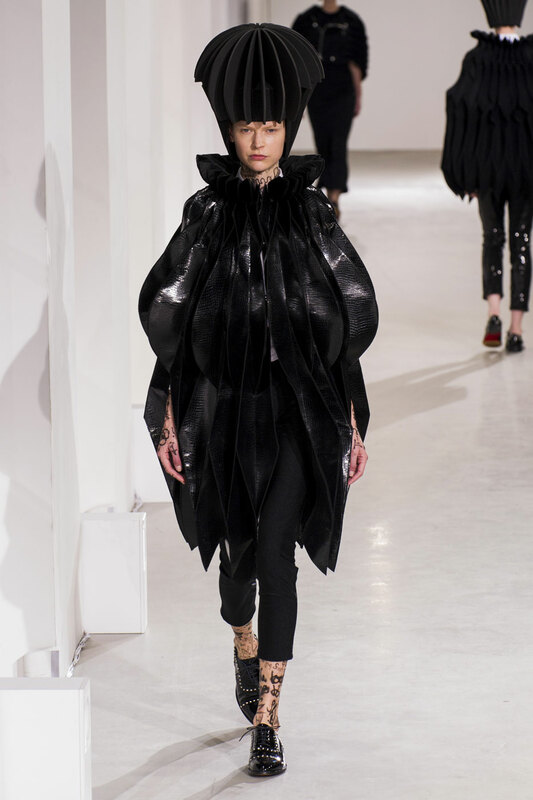 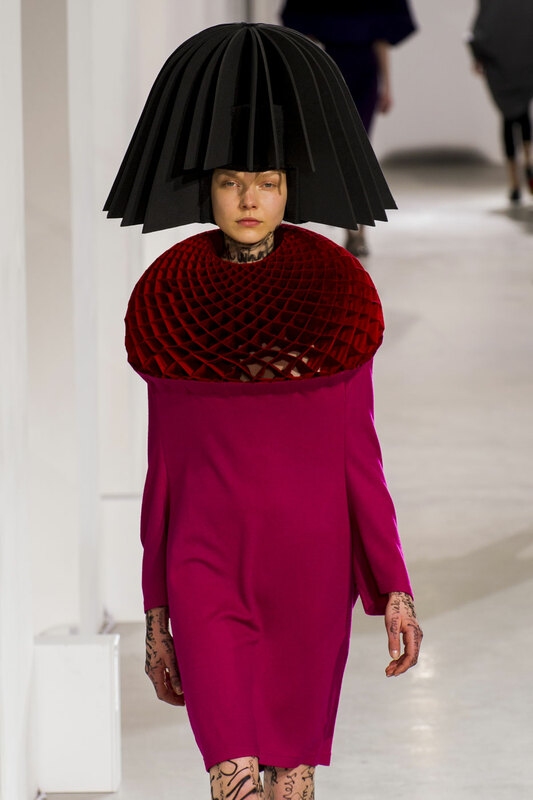 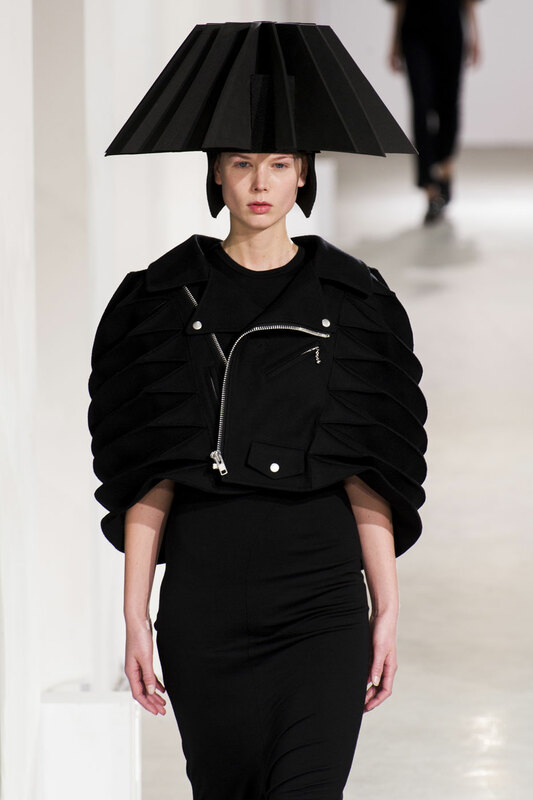 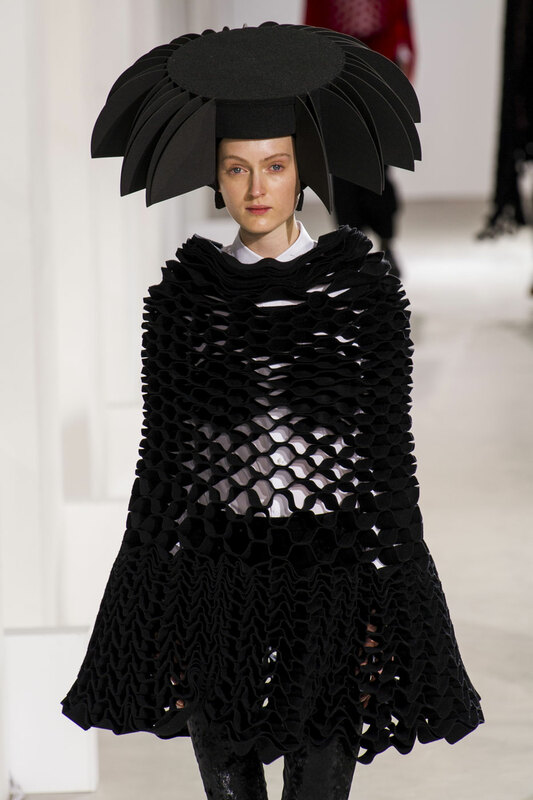 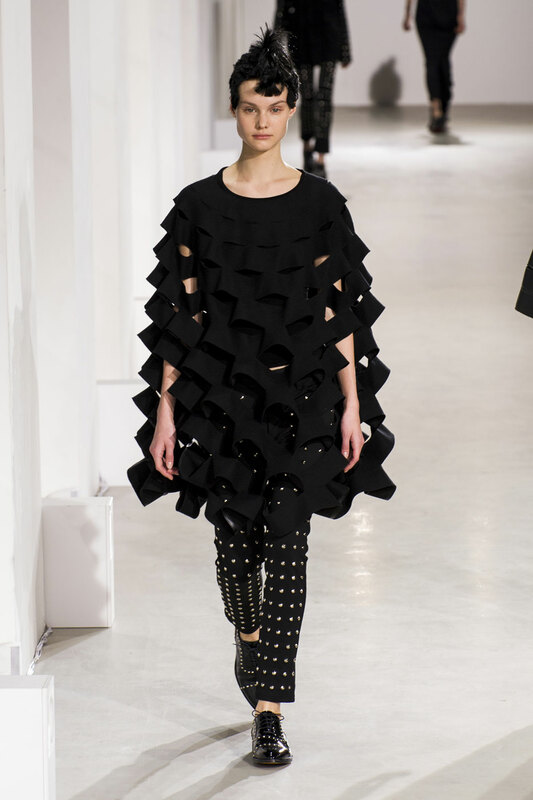 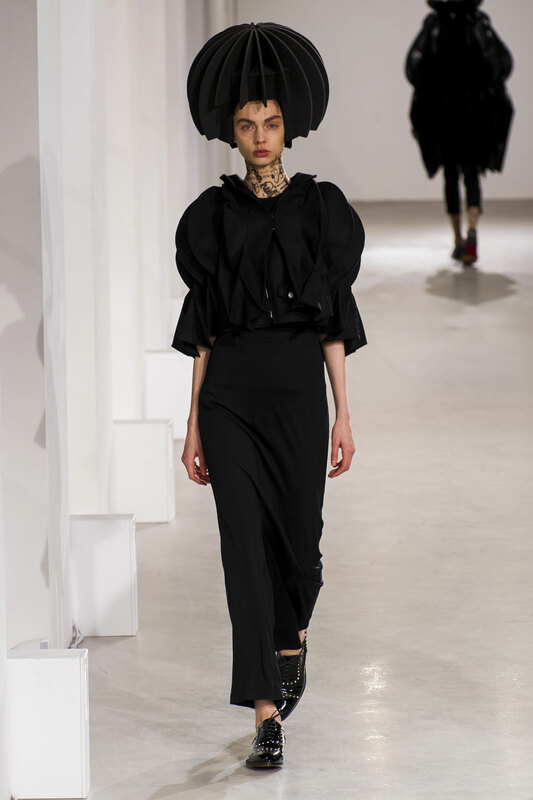 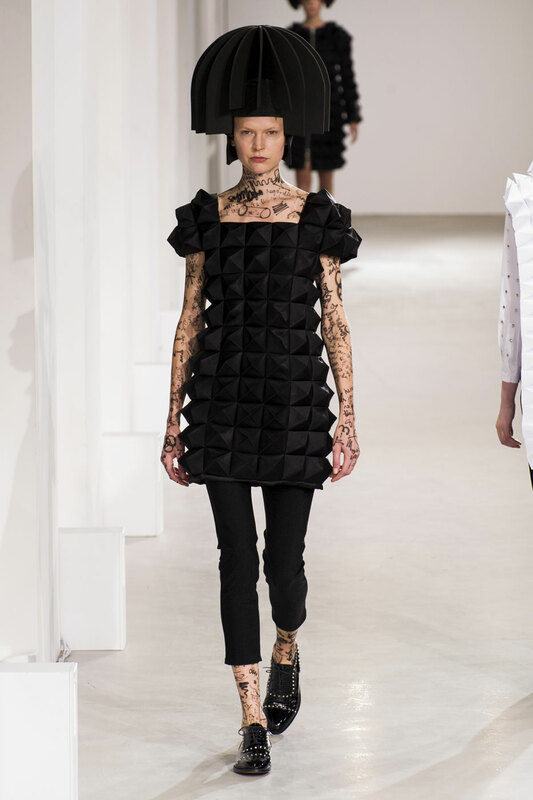 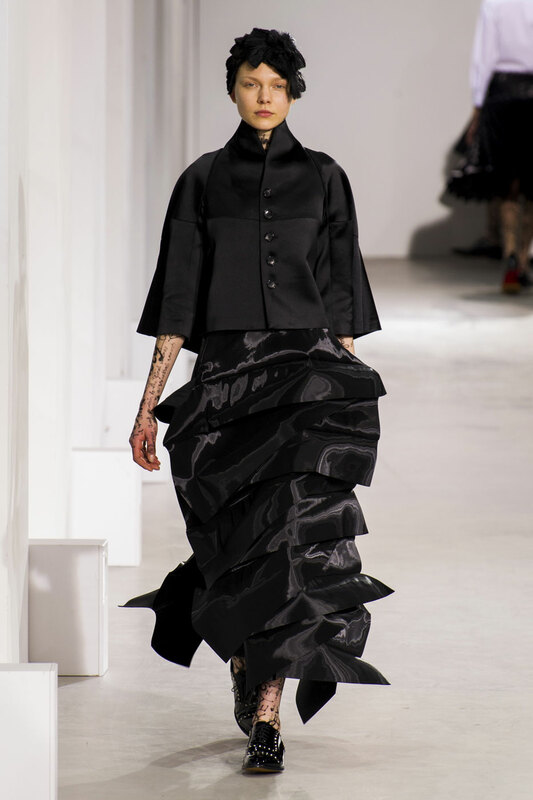 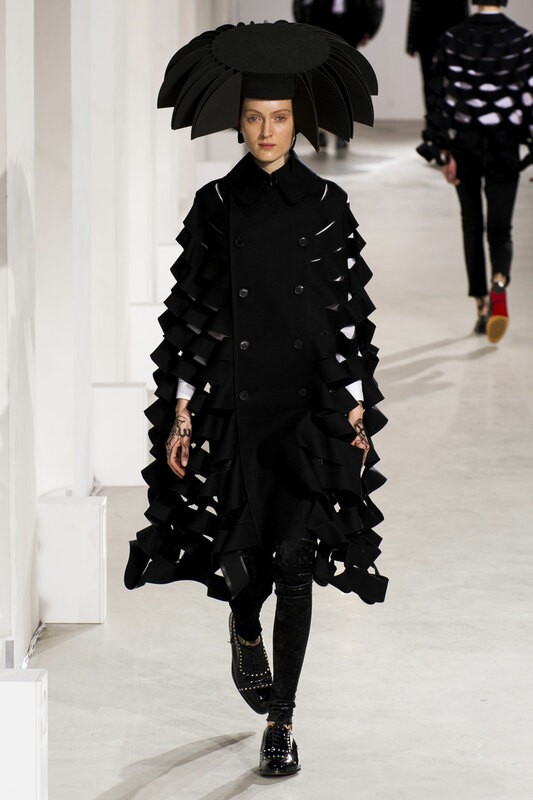 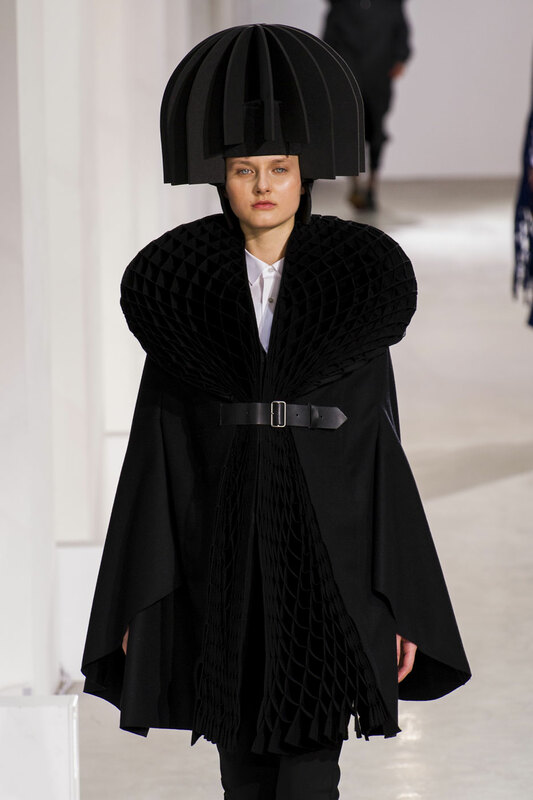 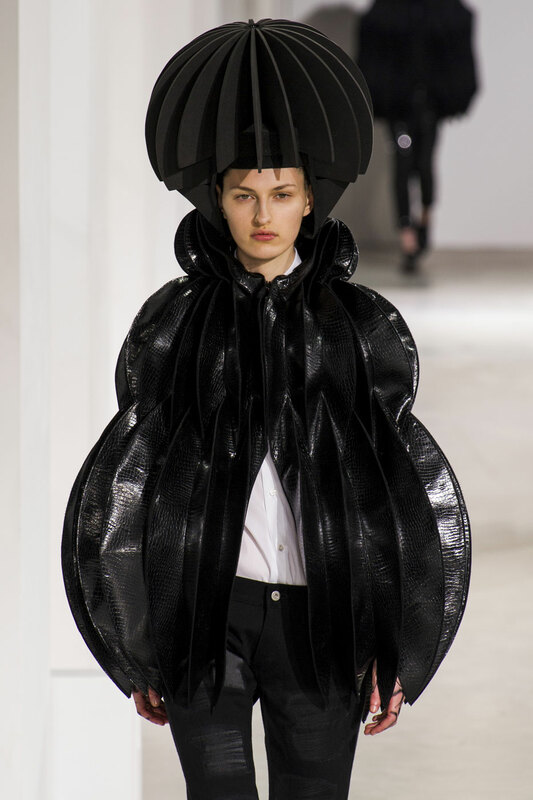 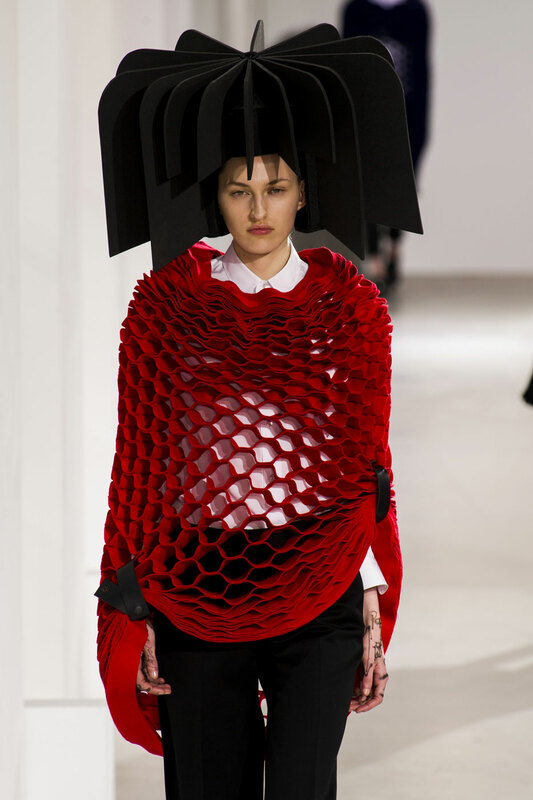 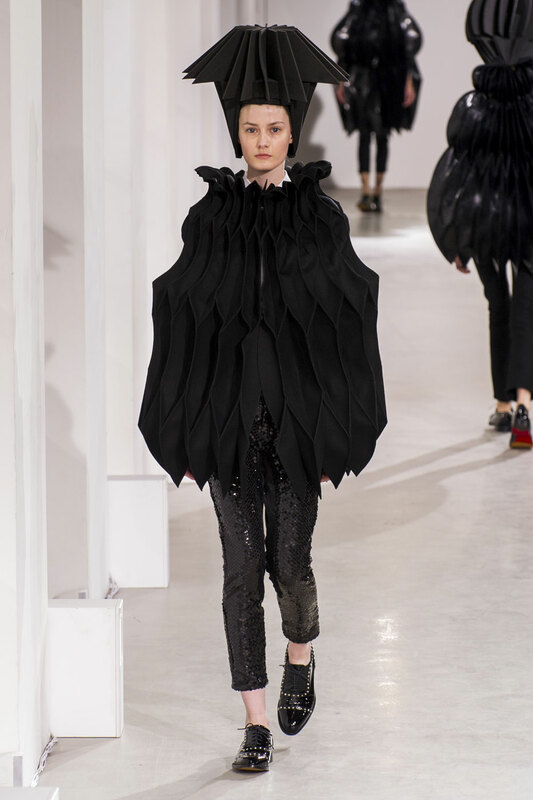 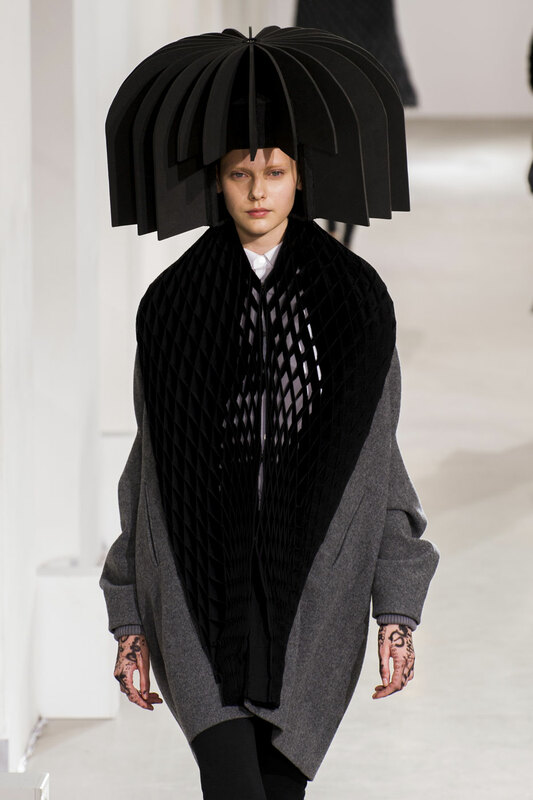 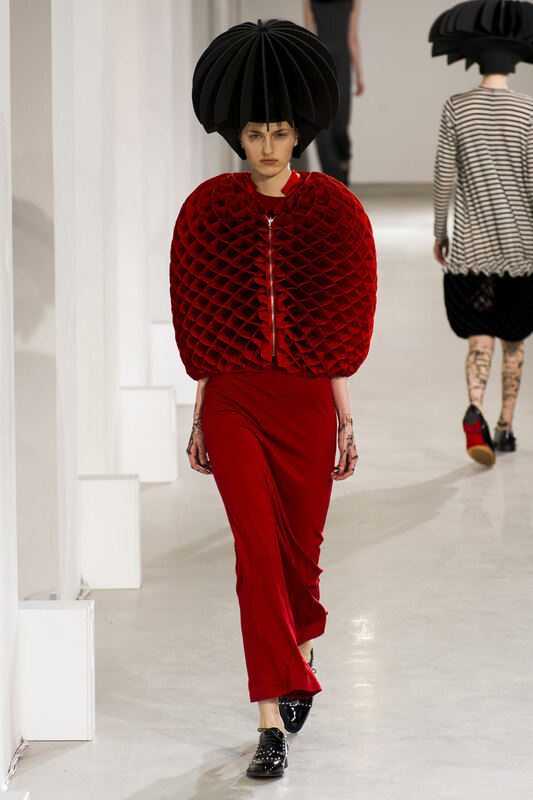 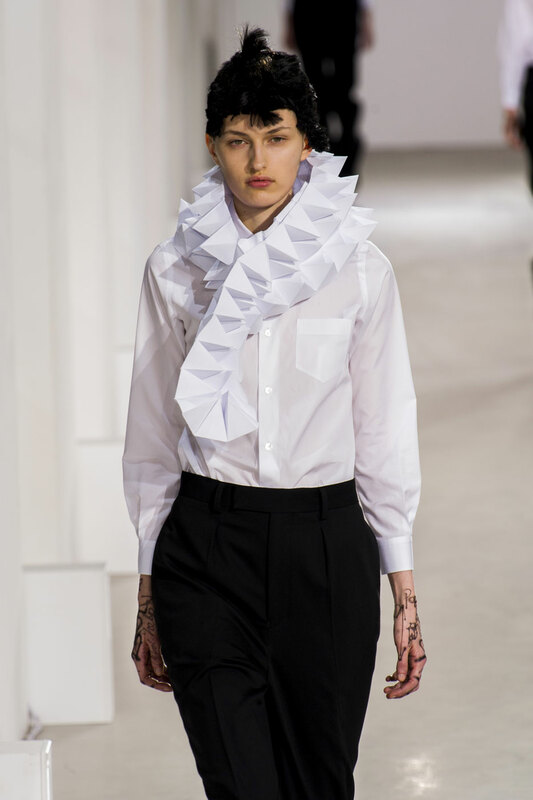 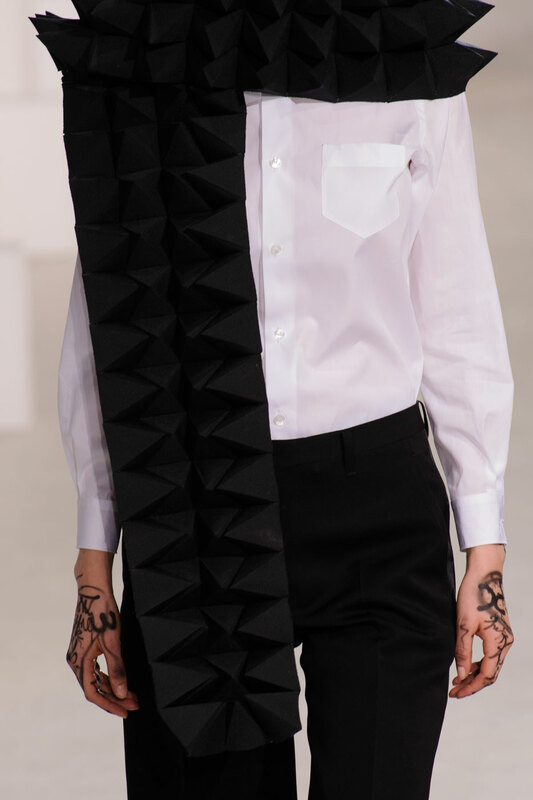 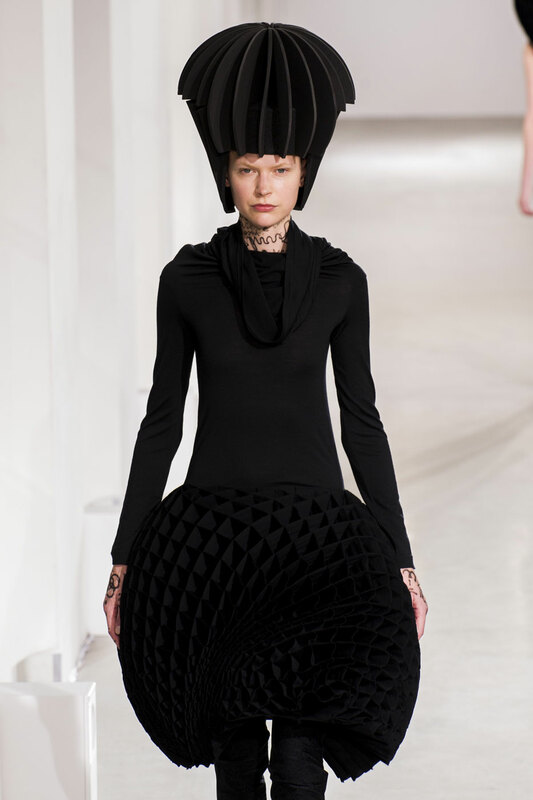 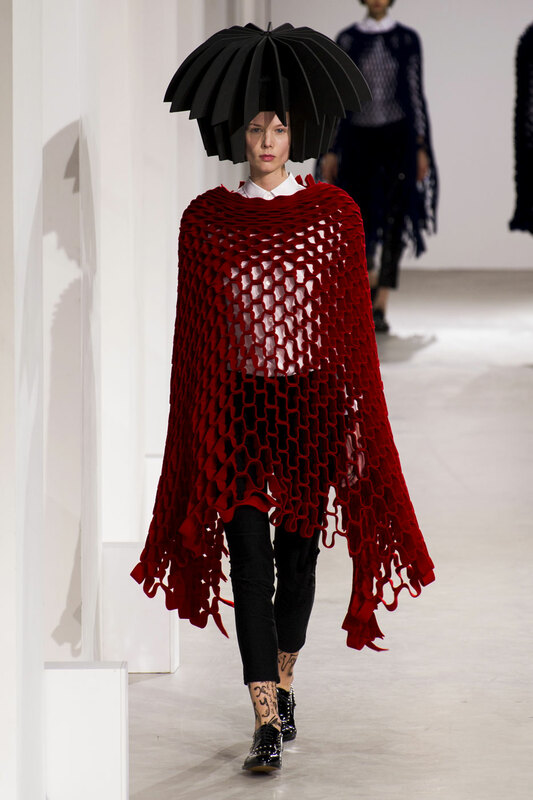 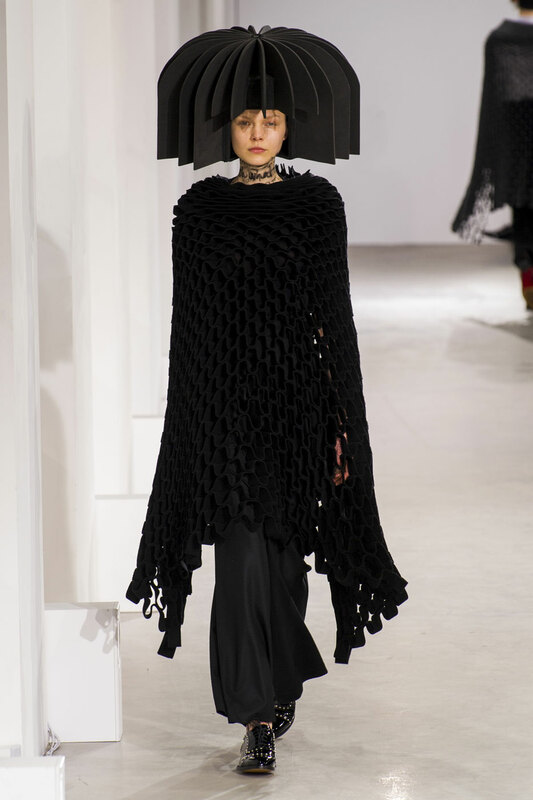 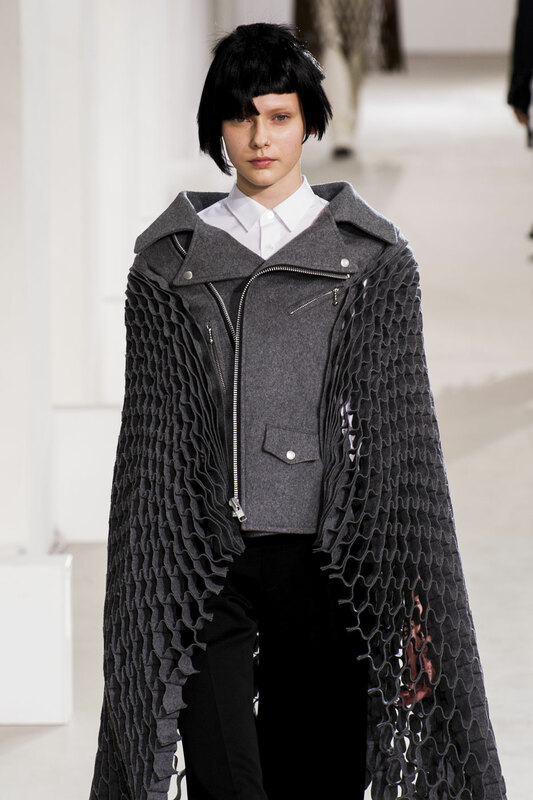 Junya Watanabe Women Autumn-Winter 2015 - New dimensions were reached and boundaries were pushed once again at the Junya Watanabe show, with concertina construction and 3D forms. 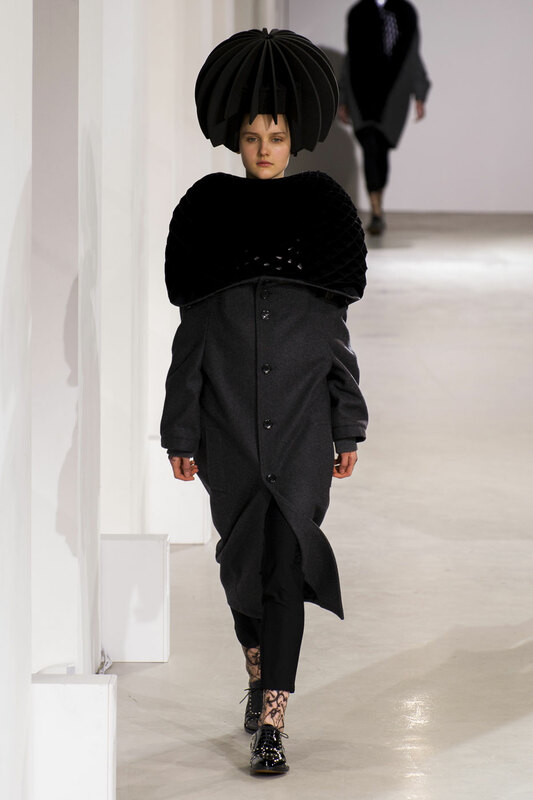 Renowned for designing innovative and distinctive clothing Watanabe created gravity defying designs married with elegant tailoring for his AW15 collection. 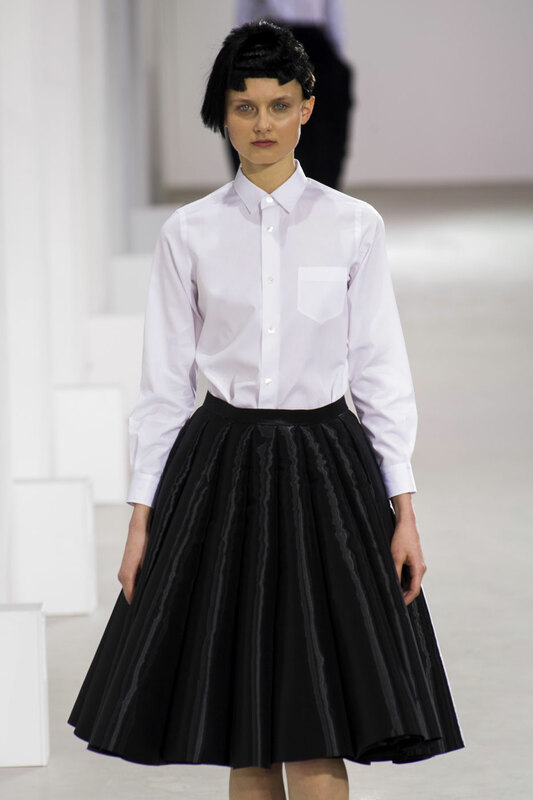 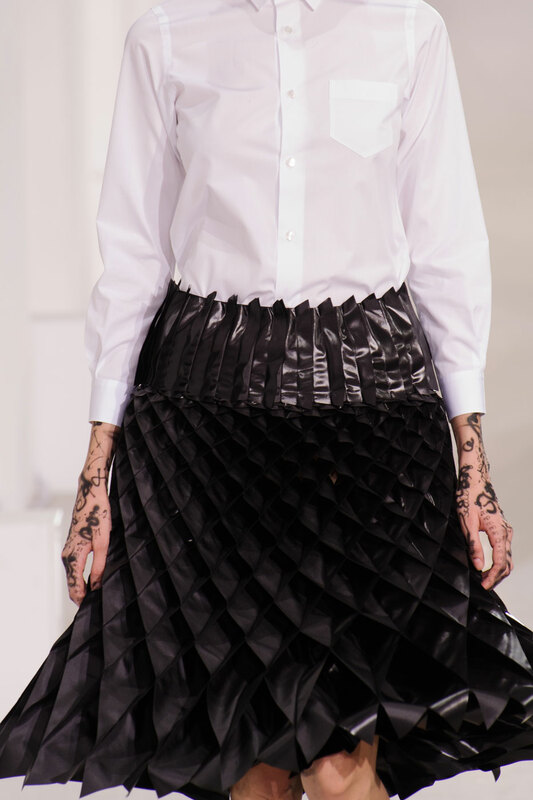 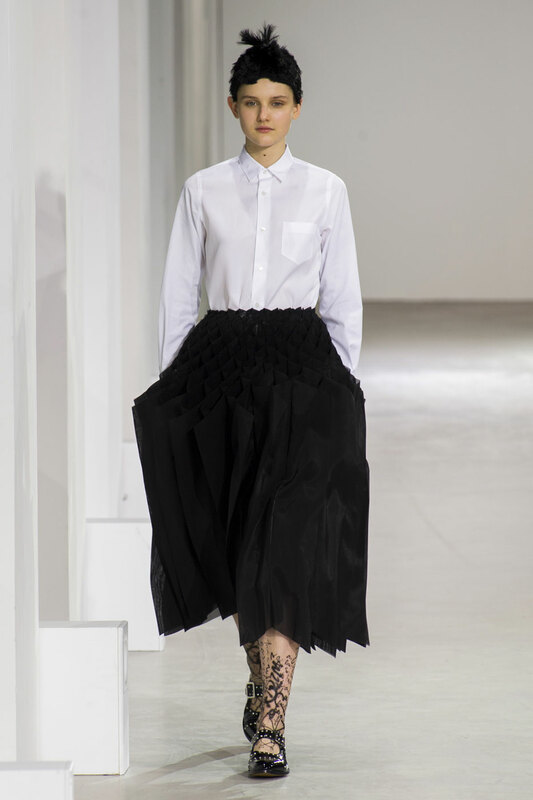 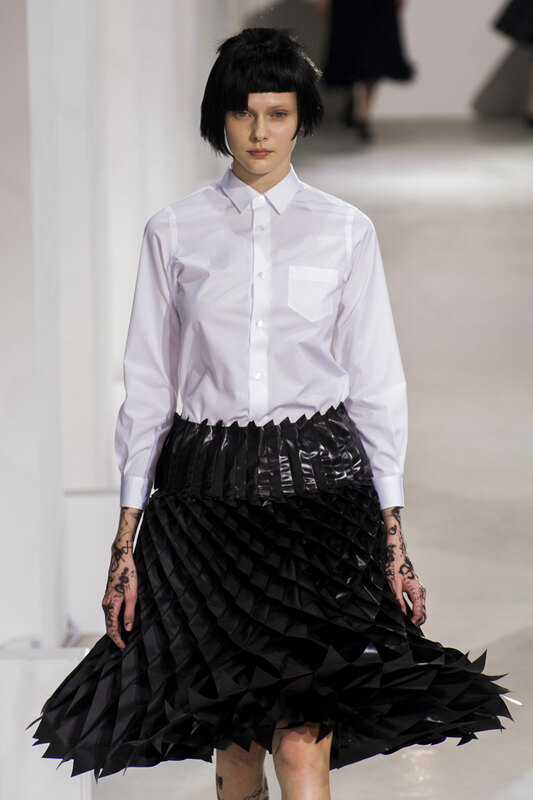 The show opened up with crisp white shirting paired with a dramatic satellite A- line skirt. 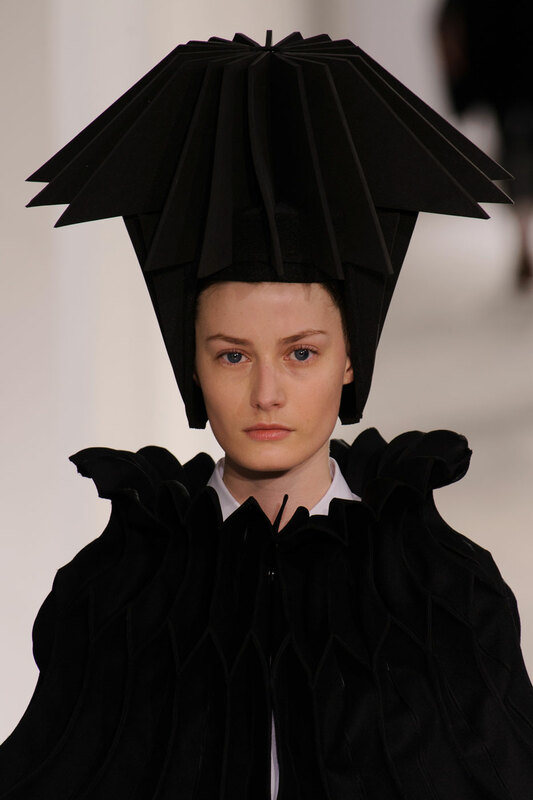 Origami architectural forms created strong and bold structural designs, the main focal point of the line. 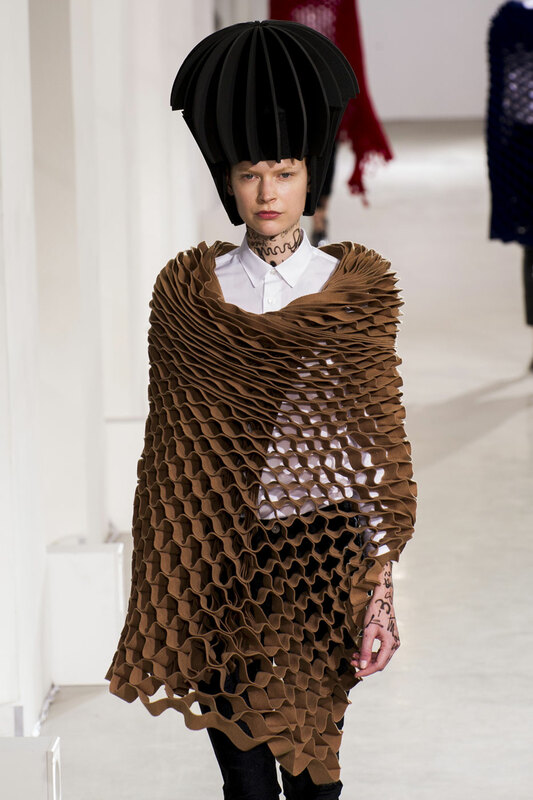 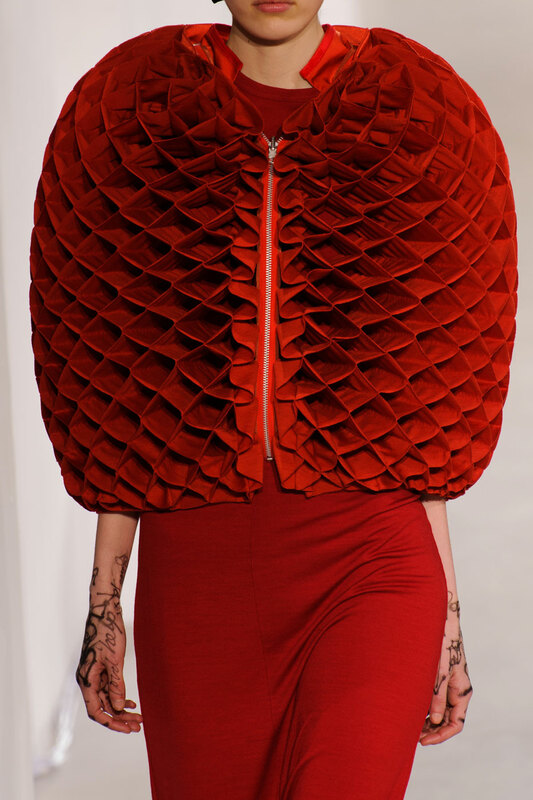 The 3D paper folds made their mark on the hems of dresses, shoulders and wrapped around the neck in the form of a scarf. 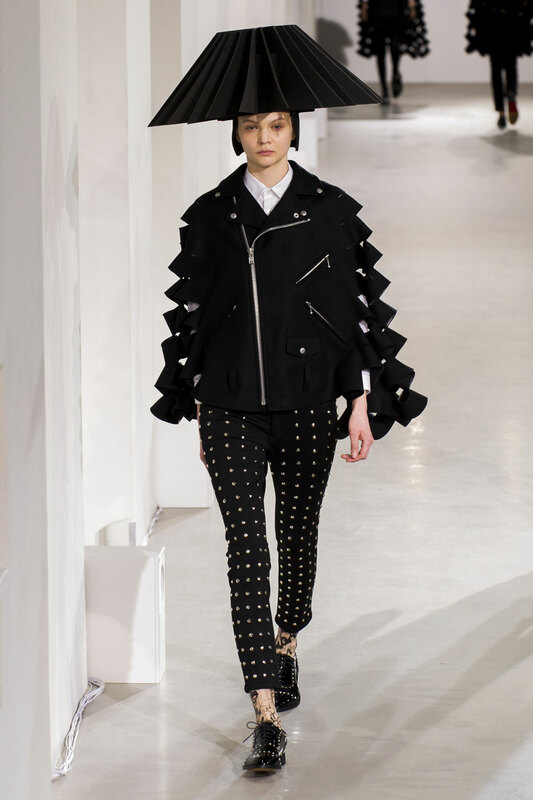 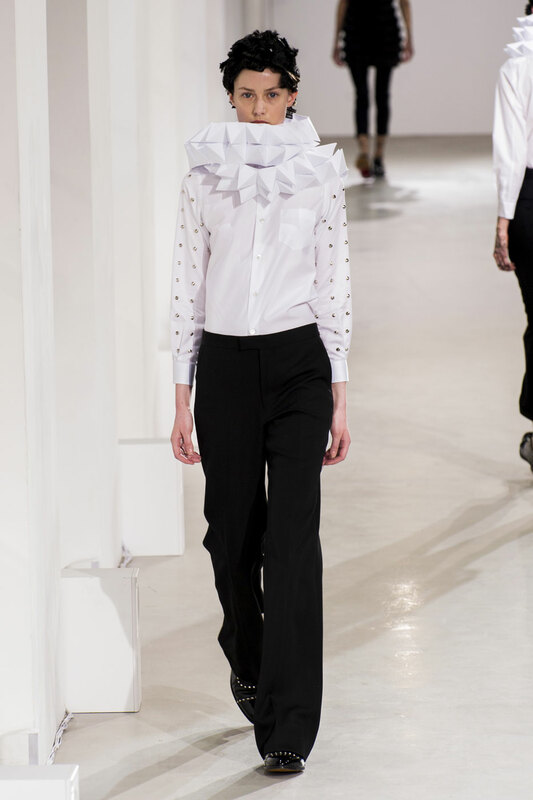 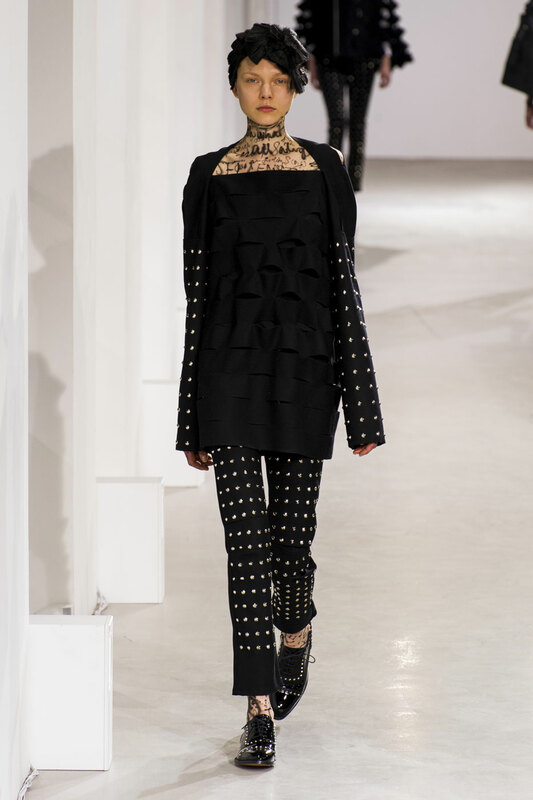 A studded elegance was thrown into the mix with studs toughening up trousers and patent brogues. 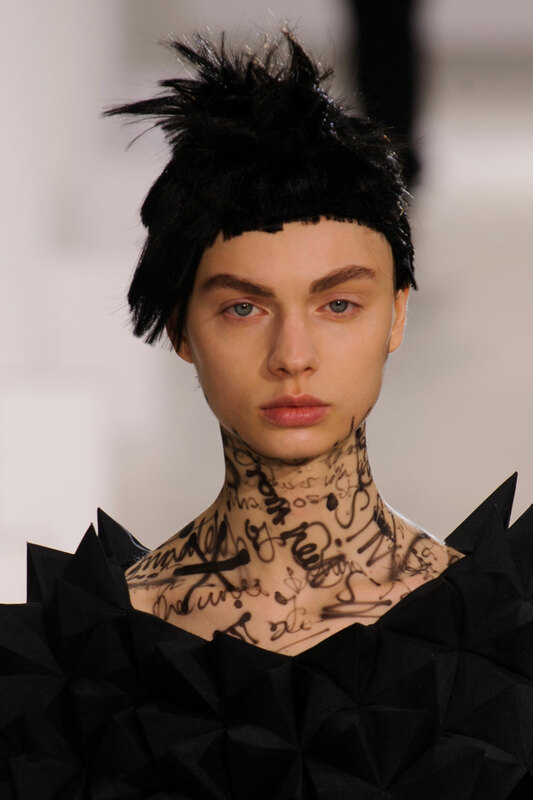 Scribbled graffiti body art decorated exposed skin; hands, ankles, legs and necks. 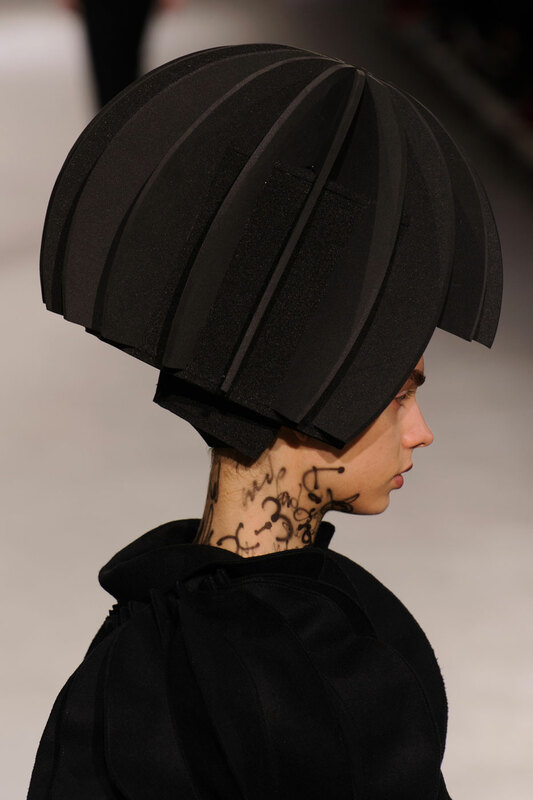 Lampshade hair creations (which have become a Watanabe signature) adorned heads of naturally made up faces, which exaggerated the looks. 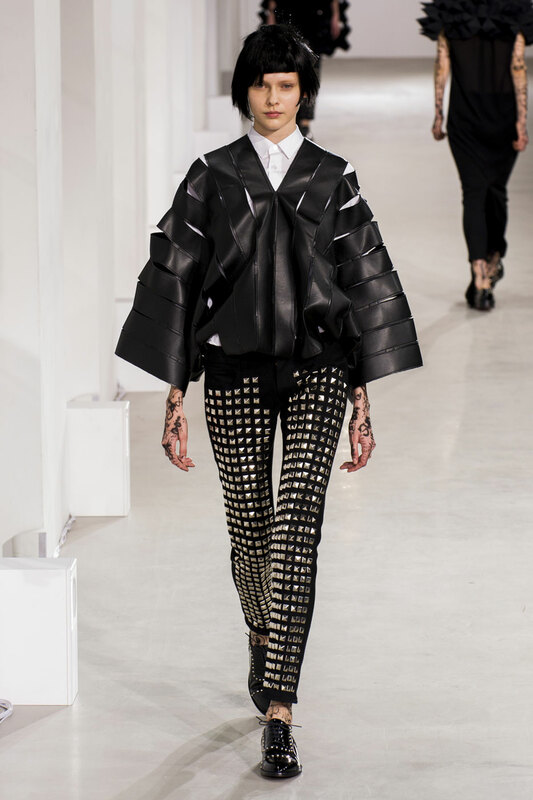 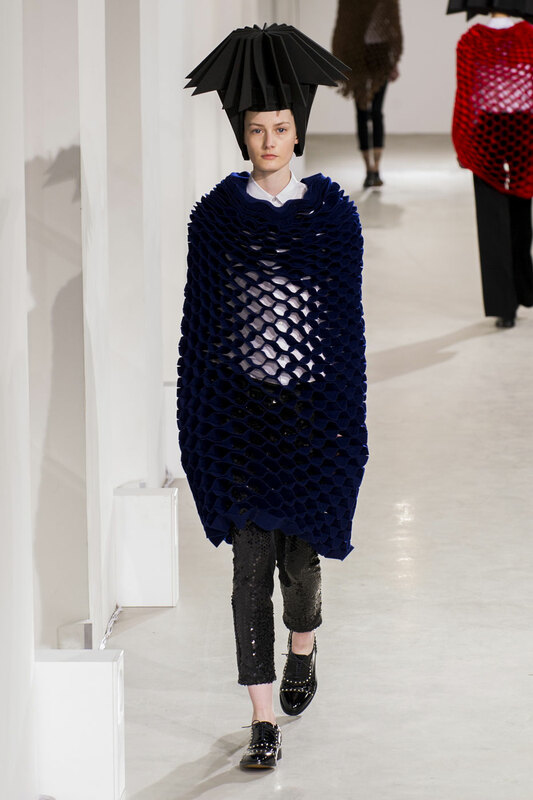 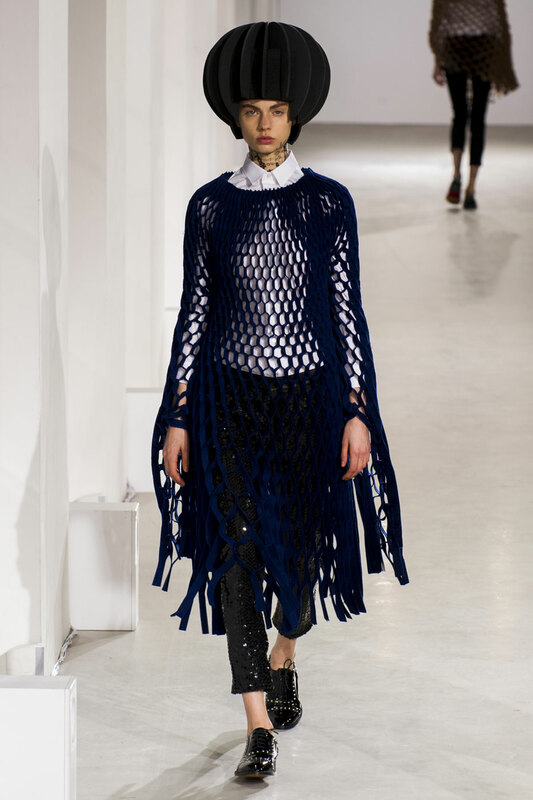 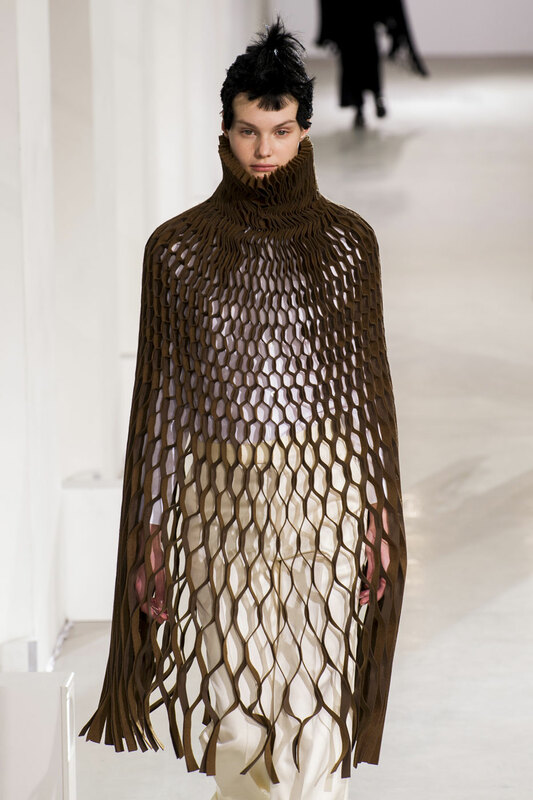 Layered honeycombed- netted capes draped over white shirts; tailored jackets disintegrated into the same perforated net effect. 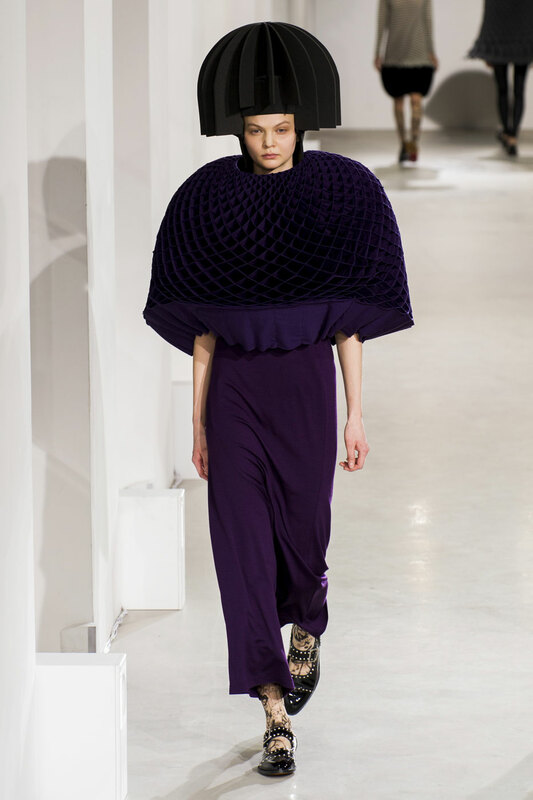 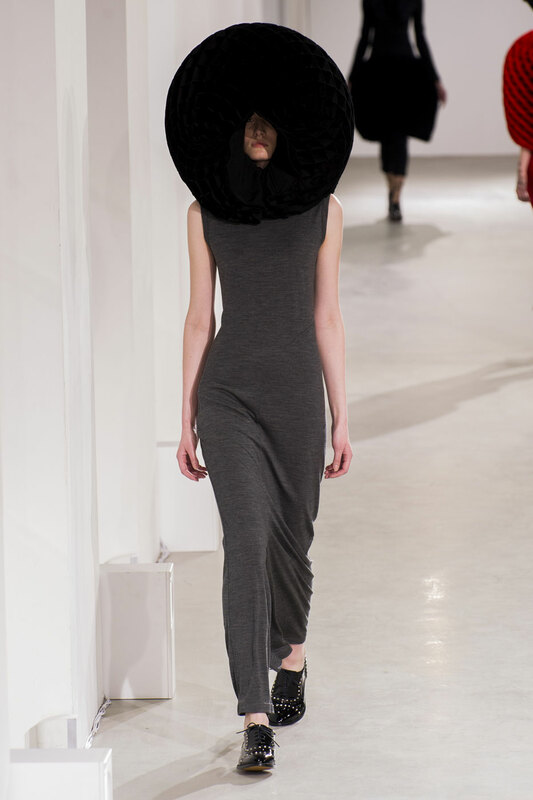 The collection consisted of a mesmerising colour palette with shades of grey, khaki, red, blue, beige, pink and purple. 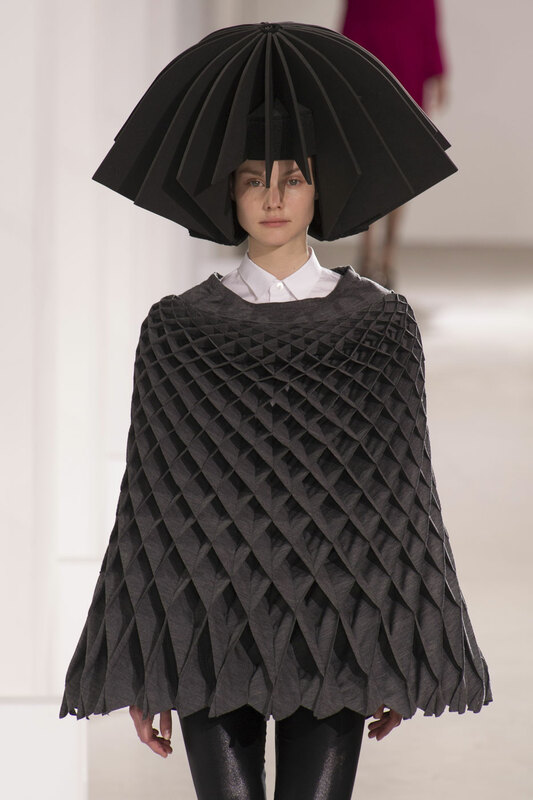 The Japanese fashion designer created slick no-nonsense looks for the contemporary woman (some more wearable than others). 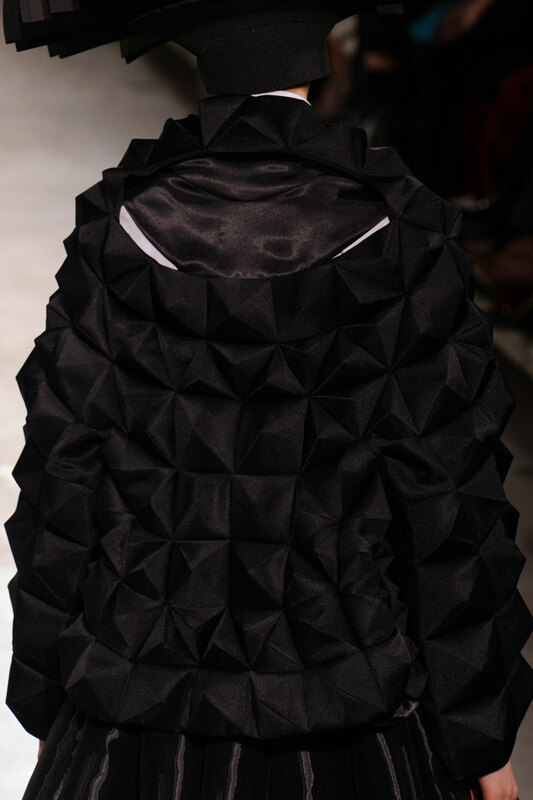 Watanabe showed true artistry with his impeccable detailing with fabric manipulation.